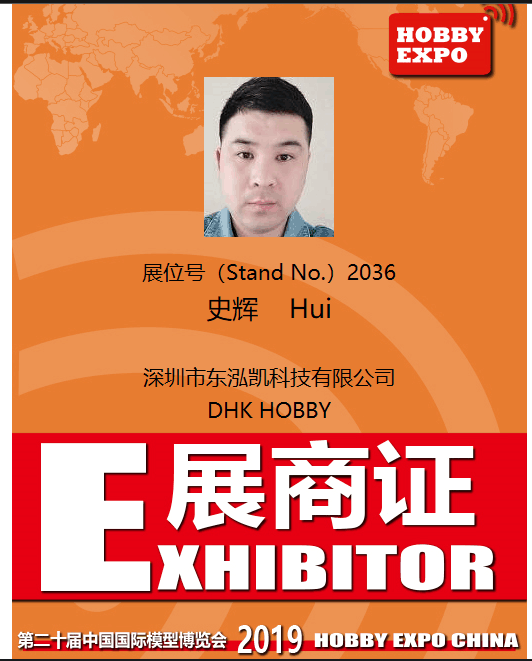 HOBBY EXPO CHINA 2019 IS TO BE HELD IN BEIJING AND THE SHOW TIME IS APRIL 19-21, 2019. DHK HOBBY HAS ITS BOOTH# 2036 AT HALL 2. YOU ARE MOST WELCOME TO VIST OUR BOOTH AT THE SHOW TIME.